Project M, the Super Smash Bros. Brawl hack that injects more of what you loved about Super Smash Bros. Melee into its Wii sequel, has been released in demo form. This is your opportunity to answer the question "Why not just play Melee?" for yourself. 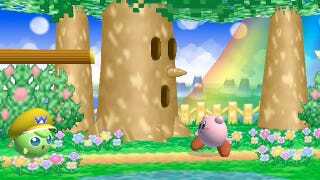 The demo release of Project M packs in just 14 of the planned 40+ characters and just some of the stages the mod will support—which includes memorable environments from the GameCube and Nintendo 64 entries in the Smash Bros. series, like Dreamland 64, Fountain of Dreams and Yoshi's Story. Interested parties can head to the official Project M site to see what's involved and what it takes to play the mod on your legit copy of Super Smash Bros. Brawl.